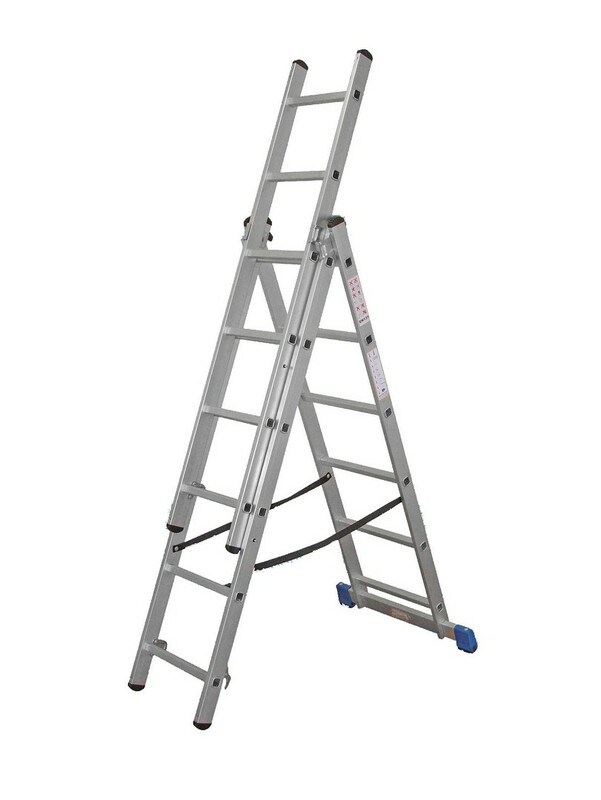 Aluminium combination ladder suitable for light trade and domestic use. Combines a stepladder and extension ladder in one product with a unique sliding mechanism for easy conversion into the different modes. Compact folded dimensions for easy transportation and storage. Stabilisers included for extra stability.